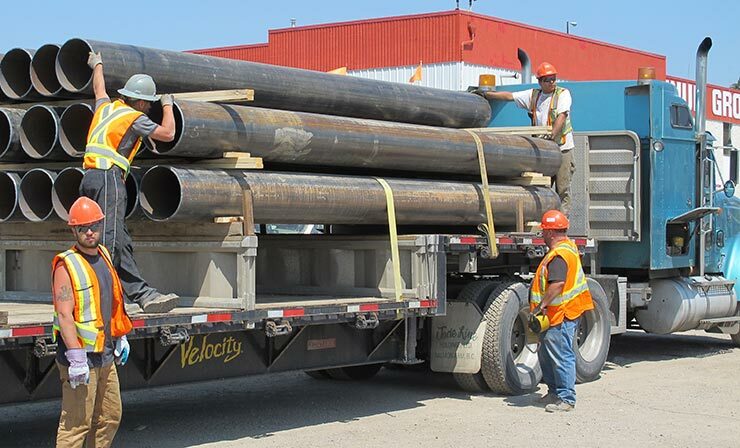 Platinum Grover supplies new and used structural pipe and piling to markets across Canada and the United States. Platinum Grover has onsite cutting and CWB certified W47.1 welding services to provide pipe and piling to specific lengths. Through our associations and relationships, we can expedite your galvanizing requirements and manage your order-in project work from start to finish. As a value-added service, we can arrange transportation to meet your delivery requirements.